Human logic-based Egalitarianism is Halachically problematic and is inconsistent with the stratified roles defined by the Torah. The parameters of this prohibition are not singular. One parameter is defined as negating the importance of every Jew attaching themselves to an exemplary teacher and role model of Torah. 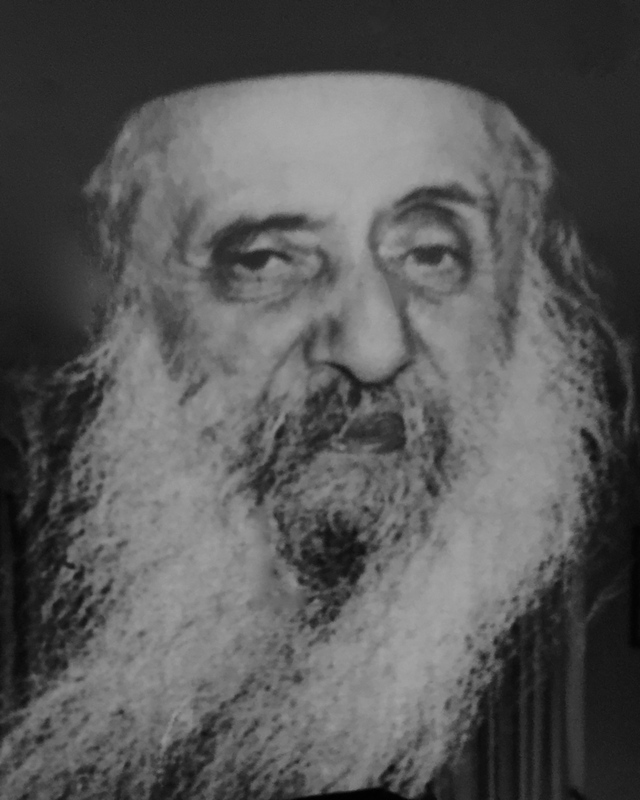 was of the last Lubavitcher Rebbe z’l, whose Yohr Tzeit is on Shabbos. I clicked. He answered, quoting the Talmud in Yevamos, that the archetypical Jew exudes the traits of mercy, self-effacedness and kindness. Furthermore, these traits are self-evident and not “advertised”. Indeed, after he left his father’s house, the Lubavitcher Rebbe’s own role-modeled teacher became his father-in-law, the Rayatz. 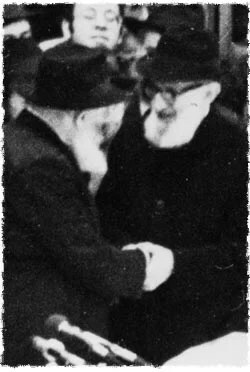 As noted by Rav Soloveitchik* (whose role model after he left his father’s house, was Rav Chaim Heller), based on an explicit Rashi in the book of Bereishis, even after a prime teacher’s demise, one should implant the teacher, who is spiritually a part of the mosaic soul, in front of him and interrogate that behavioural reality to determine major decisions we confront in life. There is no antinomian expression intended in the above. Both sides of the coin: the Baal HaTanya and the Nefesh HaChaim describe the soul of the Tzadik teacher and mentor through the same prism. the source for this view of the Rav is in Mori V’Rabbi, Rav Schachter’s Nefesh HoRav. What aren’t there pluralist Shiurim in Melbourne? I don’t mean pluralist in the sense of non Orthodox, or conservadox (aka Shira Chadasha). I notice there are lots of Shiurim on Tanya. It is a very important work. I know that the Nefesh Hachaim came after it, and depending on who you ask it was written in response, or in parallel. I’m interested in a Shiur from someone who knows both Tanya and Nefesh Hachaim inside out, and who is familiar with the Ramak, Tomer Dvora, and Maharal (of which much is based on). My own knowledge is a rather old recollection of learning various Sifrei Maharal too many years ago. Do such people in Melbourne exist, who are able to give such a Shiur, including comparative explanation, or is this the sort of thing which only happens along party lines. 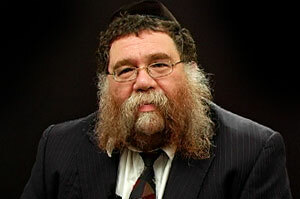 Author pitputimPosted on March 31, 2014 Categories Alter Rebbe, R' Chaim Volozhiner, R' Hershel Schachter, UncategorizedTags Nefesh Hachaim, Tanya, Tomer DvoraLeave a comment on What aren’t there pluralist Shiurim in Melbourne? 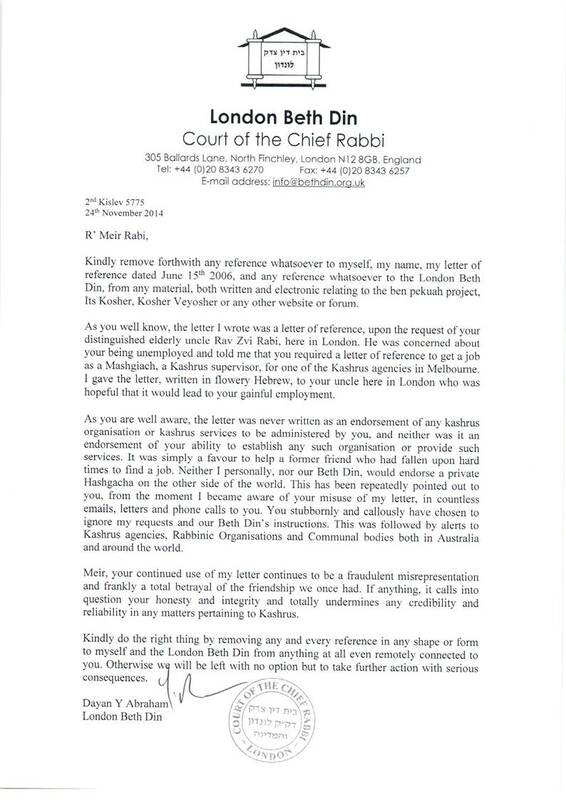 Has the Kollel apogee been reached? A few nights ago after Ma’ariv, a young and enthusiastic collector asked me for a few bucks. When I asked what for, he responded that he established a new Kollel for Ba’alei Tshuva who had learned there for 9 or so years, and that times were tough. Of course, that was the truth. I asked him why they were still in Kollel? He said, because their Torah protects Am Yisrael? I asked him whether there were any exemplary students therein or were they “run of the mill”. He re-iterated that my point wasn’t important because their Torah was protecting Am Yisrael. There is ample precedent in Kosvei Kodesh of that. I asked him what he thought of Nachal Charedi. It’s a litmus test for me, because I feel it offers so many of the more mediocre types the chance to gain a profession and make a living which has more self-esteem. I asked him whether he thought Israeli Soldiers (e.g. Nachal Charedi) were protecting his Kollel when they were policing borders and the surrounds. He became agitated, and told me that Torah protects. I then quoted an Aderes Eliyahu from the Vila Gaon (he being a Litvak) where the Gaon explained the Gemora in Brachos לה ע”ב that when הרבה (many) do like R’ Shimon Bar Yochai (devoted themselves solely to Torah Learning) לא עלתה בידם (it wasn’t successful). I argued that the problem is that we are not following the Gemora which makes it clear that as a general rule people should work (and then be Kovea Itim LaTorah) and not be poor in Kollel to the extent that there are myriads begging terribly for money simply to put bread on their empty tables. I feel very sad when people are in poverty because of this choice. I kept forgetting to look it up (I had seen it 30+ years ago) but unsurprising, when I was looking into the Nefesh Hachaim of the Saintly R’ Chaim Volozhiner, the Gaon’s prime pupil and yoresh, two nights ago, the Nefesh Hachaim says the exact same words. Sure you can twist any which way with Girsaos in the Gemora, and I’ve seen lots of that, but you can see my line of thought in R’ Chaim’s classic Nefesh Hachaim from Shaar 1, No 8. The Maharsho on the spot is even stronger. Check it out. Author pitputimPosted on November 29, 2013 Categories Daas Torah, Education, Groups, Holocaust, Jewish Education, Litvaks, R' Chaim Volozhiner, Reb Chaim Volozhiner, Vilna GaonTags Full time learning, kollel, R' Shimon Bar Yochai6 Comments on Has the Kollel apogee been reached? I have always felt that in learning Torah, once a person starts to earn a living and engage with wife and family, enjoying what you learn is paramount. There is one invariant; Halacha. Each person must have a working knowledge of basic Halacha and should aim to revise this every now and again; yes, 30 days before a Chag. Personally, I have always been captivated by study of the Halachic process. I am roused when reading שאלות ותשובות especially when the Posek takes the trouble to map out his thoughts from fundamental sources through to his final decision. Pilpul and conjecture aka תורה לשמה—for the sake of it—was also gripping. some 30 years ago. Nowadays, unless it leads to Halachic import, I tend to look at it as an exercise in עמלה של תורה more akin to an intellectual odyssey that may not lead to any change or understanding in Halacha. I had never learned Mussar until I studied in Yeshivat Kerem B’Yavneh. I tried. The first thing I noticed about it was that it was an intensely personal introspection. One had to psyche oneself to be in the proper mood. I couldn’t understand why one would learn Mussar with a Chavrusa, a learning partner. To me, Mussar or Jewish Ethics was almost the type of study where the entire Beis Medrash should be enveloped in an eery silence. Mussar was studied for half an hour a day, just before Ma’ariv and Dinner, except for Shabbos. There are many different styles of Mussar Seforim. There are those that take the severe admonishment line (which never appealed to me) and are others which were written by Rishonim themselves. More recent varieties, such as the quasi mussar approach of Michtav Me’Eliyahu were really a cross between Mussar and Jewish thought. I did enjoy studying כוכבי אור (not the sefer by R’ Nachman MiBratslav) by R’ Itzele Blaser (a famed student of R’ Yisroel Salanter) during Tishrei but I think this was because it was more of a Lomdishe Mussar Sefer where there was a great question and answer leading to a mussar message. Others had a different approach, like Daas Tevunos from the Ramchal. I liked those, but didn’t feel they were hard-core Mussar seforim. Brisk had no place for Mussar. It felt that Mussar was unnecessary. If you needed to study ethics, it meant that your study of Shas was not proper. I ended up abandoning Mussar after 6 months (I did gravitate to another Sefer called Ma’alos HaMidos) and started learning Sefer HaKuzari on my own. I know this raised eyebrows, but the Yeshivah were clever and one day an Israeli Chavrusa “appeared” and told me that he’d like to learn it with me. I appreciated that in as much as it helped me with vocabulary and I knew that the Yeshivah was tolerating my nuanced needs. I think that’s important in any Yeshivah. Too often Seder becomes an indoctrination of sorts. Kuzari was good for my general knowledge, but I didn’t really feel confident with some of the answers in the sense that I could use them in the 21st Century. That was probably my fault. It was fascinating trying to get my head around Sechel HaPoel and Sechel HaNifal. I later discovered Maharal, and fell in love. It was written in a way which I could understand and all the hidden messages, such as 8 being higher than 7 and what that meant across Shas and Halacha was intriguing. They were powerful words. I gave the book to R’ Groner ז’ל as he was very excited to read it. R’ Groner, whom I miss greatly, was a walking encyclopaedia. He told me everything I wanted to know about Amshinov through to a vivid description of the size of R’ Shimon’s Shulem’s nose ז’ל 🙂 Subsequently, I told R’ Groner to keep the book, and I’m glad I did. Fast forward. My soul became inexorably attached to the Rav. I don’t know why. Perhaps it was my head that became intertwined. I discovered early on that the Rav knew Tanya like the proverbial back of his hand, as well as Likutei Torah from the Alter Rebbe. 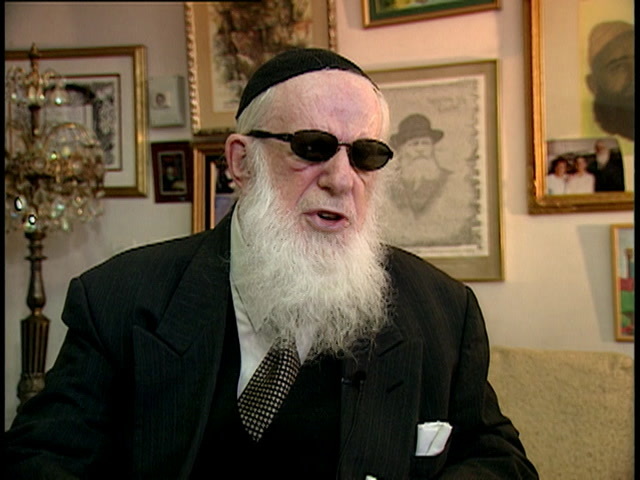 The Rav was a romantic (not personally, but in respect of his life memories). He was also unique in that he actually wrote and told you about his feelings and struggles. I love that candour. It only makes me pine to interact with him even more. It is one of my regrets. I remember when the first group of students from the YU Kollel came to Kerem B’Yavneh. 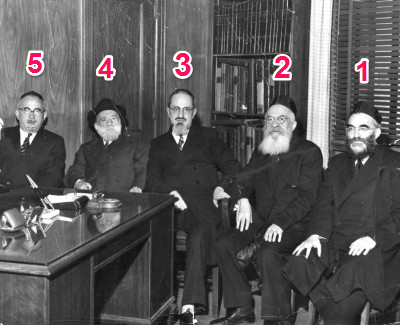 The Rosh Yeshivah immediately began interrogating them so that they could relate the latest Chidushim from the Rav. One of the Rav’s best Talmidim (certainlywith respect to Psak as opposed to Philosophy) is R’ Hershel Schachter, the Posek of OU. I have downloaded and listened to many of R’ Hershel’s shiurim, and he is literally like a sprouting fountain that gushes forth with an enormous ידיעת התורה. I noticed that he too had studied Tanya and would quote it. I don’t know any Tanya. I know some of the basics of Chassidus—very very basics—and it’s safe to say I’m an ignoramus. 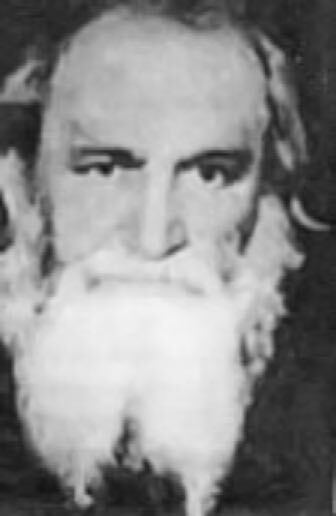 The Gaon’s prime Talmid also wrote a critically important and widely read Sefer, akin to Tanya, and apparently written as the Misnagdic equivalent, called Nefesh HaChaim. I have this at home, and read Rabbi Norman Lamm’s PhD thesis comparing the Tanya and Nefesh HaChaim. My beautiful, much beloved, and much missed cousin, R’ Ya’acov Yitzchak HaCohen Balbin ז’ל, whose soul was as pure and holy as I have ever come across, and to whom I dedicate this post less than a year after his sudden Petirah that he should have an Aliyos Neshoma and a Lichtige Gan Eden, was a Chosid of R’ Zalman Serebryanski ז’ל and despite having gone to live in the State of Israel some 30 years ago, still asked his difficult questions to R’ Groner ז’ל. I well remember my father, myself and Ya’acov visiting R’ Groner, literally less than 48 hours before his Petirah and Ya’akov asking R’ Groner what was to be R’ Groner’s last Halachic question in this world. One year, Ya’acov bought me a copy of the Steinsaltz Tanya. Ya’acov’s son-in-law, somewhat of a Chabakooknik, is a Chosid of R’ Steinsaltz who was Mesader Kidushin at his wedding (I attended). Yet, despite all of this, I can’t open Sefer HaTanya and I remain ignorant. Why? Because there is this big sign at the back of the Shule at Yeshivah in Melbourne which (rightly or wrongly) bothers me to the depth of my soul. If it has a place, that sign should be in the Chasid’s heart. Having such a sign in a Shule (and in the Mesivta in the School my sons attended) let alone bellowing this out daily, simply turns me off. Call it irrational, call me full of myself, call me whatever you want. I’m sure I’ve been called worse. But, these are the facts. I feel it, and I feel it deeply. I’d like to learn, as I feel it has become an important and accepted sefer. I can’t. I feel negativity which I cannot erase. The marketing has gone mad and it is pervasive in the extreme.